Take Halloween night, for instance. The dusk hour was approaching. I picked up my brother from the airport. I tried to throw the kids’ costumes together, but it proved more difficult than I’d expected because they were too excited to actually follow any directions. At the same time I was trying to be a good hostess to my brother and get something going for dinner. I still needed to get some towels and things into the guest bath. Then my mother- and sister-in-law showed up with my niece who was as excited about trick-or-treating as my kids. Mine were still half-dressed, but chomping at the bit to get out the door. Plus I still had to get candy ready for a hand-out bowl. And Matt was on his way home from school to go with all the kids. For some reason, even though that moment was really insignificant in the grand scheme of things, I suddenly felt incapable of meeting everyone’s needs and I felt totally confused by all the chaos around me. I didn’t know what to do next, and stuff just kept happening. Doorbell rang. Get candy. Find socks. Blow nose. Thank Grandma for presents. Take candy away. Find baby wipes. Answer questions. Try again. Sound familiar? Well, everyone finally made it out the door and the rest of the evening went on in relative peace, but that’s just one example of those frequent overwhelming moments that happen in the daily course of motherhood. And then there are those overwhelming stages of life, like right after you have a baby and all the family who came to help out goes home. I remember after I had Grant, I was sitting at the kitchen table eating food for the first time that day because someone had prepared it for me. I knew my mother-in-law was going home the next morning and I thought WHAT am I going to do? I was scared by the new reality and my lack of sleep/energy to deal with it. But I lived. Then about two and half years later, now with two kids, Grant had a bout with some seizures. There was CPR and 911 and confused doctors at the ER. I walked into the hospital room to see Grant convulsing and the doctors trying to hold him down. I could tell they didn’t understand why it was happening and I was horrified. I remember running out to the lobby and seeing my friend and my bishop and just shaking my head and saying “I can’t stand it. I can’t watch!” The next several days were spent in the Pediatric ICU with brain scans and spinal taps and all kinds of scary things. In the end, everything seemed to be okay, and we hesitantly and hopefully took our little boy back home, crossing our fingers it wouldn’t ever happen again. It didn’t. But I’ll never forget that totally overwhelmed feeling I had about everything being so much bigger than me and out of my control. When I read that today, I realized something new. I always thought that “in order” meant “organized,” like when you put your home in order, but maybe it just means one-at-a-time, like when you follow the steps of a recipe in order. Just one thing at a time. We don’t have to do it all or do it all at once. That seems so much more manageable to me– just do one thing, try to do it well (not perfect), and then move on to something else. I’m just going to assume that God understands that when you throw children in the mix, even getting one thing done can be interrupted 54 times, and I guess that’s where the “diligence” part comes in . . . just going back to the task and not giving up or losing faith (in God or in yourself). That was another answer to my prayers that you were able to provide. Thank you. This was so helpful and encouraging, and exactly what I needed to read today. Thank you! I worked so hard yesterday and just knew that I had rocked it. But then night fell and I walked that sad path to my bed, when I always remember what I didn’t get done. And I felt buried again. I don’t know why it’s so hard for me to hang on to that feeling of accomplishment. Maybe because my done list is so much shorter than my todo one. I do that more nights than not. Why do we do that to ourselves? Oh…I just remembered a post I wrote…about working until we’re really tired and looking back and knowing what we did was GOOD. And God knows it, too. I know how you feel! I started making myself a “happy list” – it has ONLY three things on it, and they have to be REALLY small, relatively simple tasks, and they have to really be things I want done, and at least one has to be something FOR ME (i.e., going for a run, reading a book, etc). If I get those three things done, I get to go to bed happy, even if there are five hundred loads of laundry to be done, or mountains of dishes. 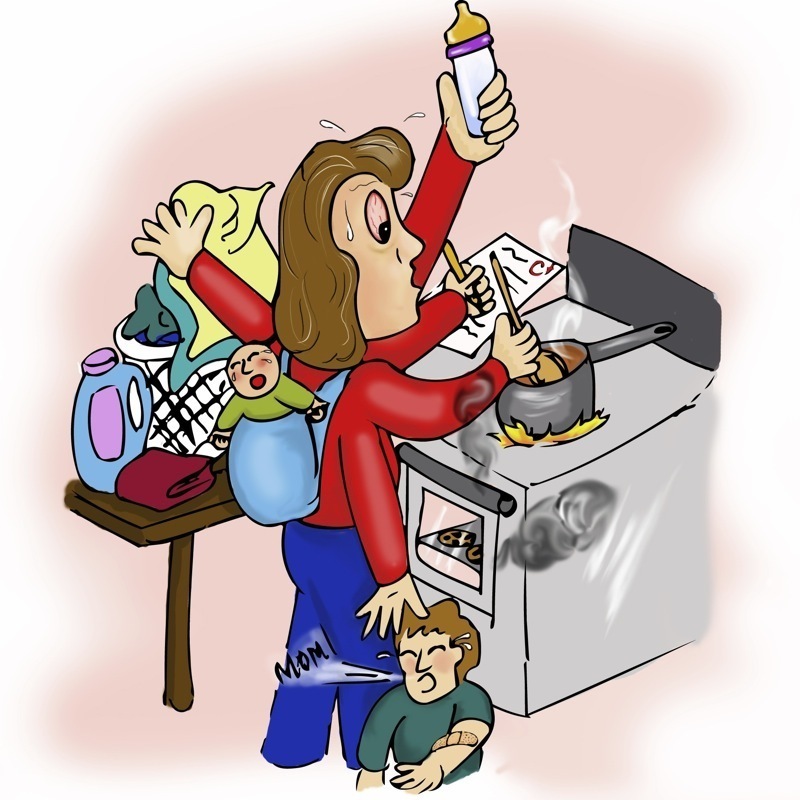 I liked “in order” – you have to just do the most important things first, and sometimes the most important thing is to just let the dishes wait so that you can hold your kids. It’s a hard lesson to learn, but I think learning it (at least a little – I still have work to be done on myself in that aspect) has made me a much happier person. This has been a discouraging, down, overwhelming and just plain hard week for me. This post, and especially that Mosiah verse, were exactly what i’d been praying to find before I opened the computer. Thanks, Steph. 1. That has happened to me before…reading through old posts and reading something that was an answer to prayer for now. It makes me understand part of the reason we need to keep journals, and it makes me keep blogging, even when I really feel like I don’t want to anymore. 2. This post was an answer to prayer for me today. Especially that last paragraph. If you could see the very not-in-order office I am sitting in now as I type this, you might begin to understand my lifelong struggle with organization. I always feel so lesser because of it, and lately things have gotten so far out of my control that overwhelmed is an understatement. I’m blaming winter, but it’s really more than that. So one at at a time, in order. Those are things I can do. And I will try. Thank you. Glad you reshared this. I have been feeling incredibly overwhelmed with all the little (and big) things that keep getting piled on right now … and I even lead a fairly simple life, well as simple as it gets with 4 kids. Like I keep telling my kids and myself, life is about progression, not always about perfection. I hope you are UN-overwhelmed soon. Yup. I needed this one, too. Thanks.